Recent studies on leadership by the Wall Street Journal and Chief Executive Magazine have found that the #1 ranked, most valued skill in leaders today is strategic thinking. But only 3 out of every 10 managers are strategic. In this interactive and highly relevant session, Rich Horwath helps business people at all levels understand what strategy is and how to think strategically on a daily basis to profitably grow their business. 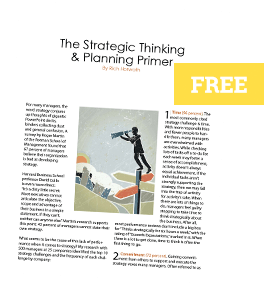 The result is that participants leave with a framework to think strategically on a daily basis and gain practical tools to reach their true strategic potential. Acumen: how to generate new insights for new business growth. Allocation: how to prioritize activities and resources. Action: how to stay focused on the important, not urgent. Develop a common understanding, language and toolkit for strategy. Create differentiated strategies to build sustainable competitive advantage. Enhance the ability to make strategic trade-offs to focus resources. Overcome five execution errors to successfully implement strategy. 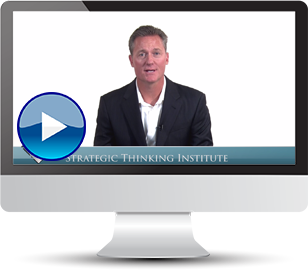 This engaging and highly informative one-hour keynote speech is perfect for those groups who would like to learn to think and act strategically using a simple framework and practical tools. If you’re not able to bring Rich in live to speak with your group, this is an excellent option. Strategy is at the heart of business success. Research has shown that good strategy is crucial at the company, business unit and product levels. Yet, the traditional strategic planning processes have become ineffective and obsolete in an era when we seem to have less and less time to think strategically about our business. In fact, bad strategy is the #1 cause of business failure today. Strategy development can be likened to sculpting, both of which require the vision to foresee the finished form and the skill, insight and craftsmanship to create it. 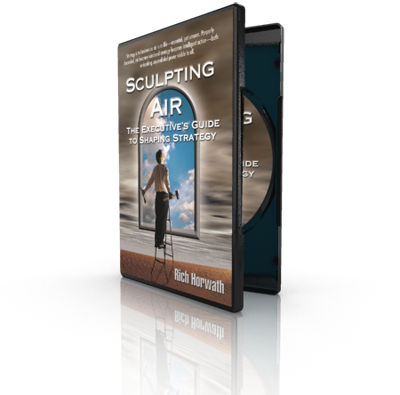 Sculpting Air: The Executive’s Guide to Shaping Strategy provides a simple, clear and effective roadmap for continuously developing winning strategy at any level. Based on research of more than 100 leading strategy development processes, Rich Horwath shares with you the best-of-breed strategy development system that has been successfully used by a host of world-class organizations to drive their success. Building on your team’s strategy development efforts will lead to more effective resource allocation and bottom-line results of increased revenue, profit and clear strategic direction. Learn to master the five phases of strategy development: Discovery; Strategic Thinking; Strategic Planning; Strategy Rollout; and Strategy Tune-up. Rich will walk you through the steps of each phase to ensure you’re using a best-of-breed strategy process for your business. Confidently set strategic direction and create competitive advantage by sculpting your strategy.